Not only has Bali long been famous for charming beaches, majestic waterfalls, and picturesque terraced rice fields like these in the mountainous areas of Vietnam, it has also captured the attention of tourists inside and outside the region with holy temples of prominent architecture and design. 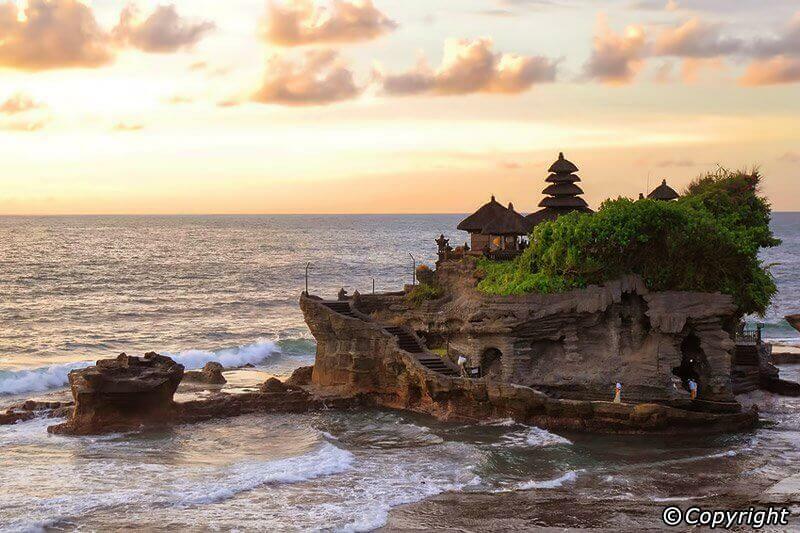 Tanah Lot Temple is considered as an symbol of Bali Tourism. The ancient temple captures the attention of tourists by its “rare” location on giant rock at sea surrounded by small wave all year round. 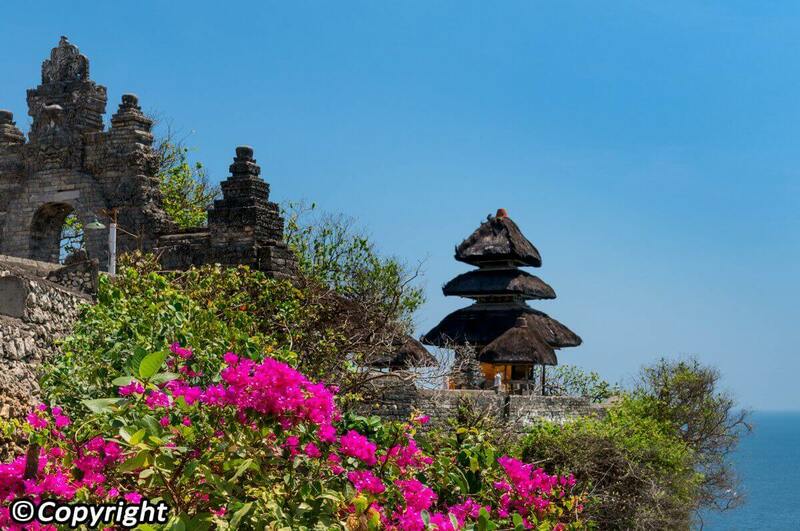 At low tide, you can walk on the rocks to to reach the temple and take “one – of – all – kind” pictures. It’s so pity that we visited Tanah Lot Temple in the morning, so we couldn’t set food in the temple. However, we still took nice photos to show off with my friends at home. About 13 kilometers southwest of Tabanan city, the temple is one of the main temples belonging the temples complex worshiping the Balinese Hindu Gods in Indonesia. Being distinctly characterized by the sacredness, and unique architecture and design, Tanah Lot Temple has attracted a significant number of tourists annually. In spite of being one of the hottest spots on tourism’s map of Indonesia, in general , and Bali Island, in particular, Tanah Lot Temple has been intertwined with the spiritual life of the Balinese, in which important ceremonies and festivals are held. 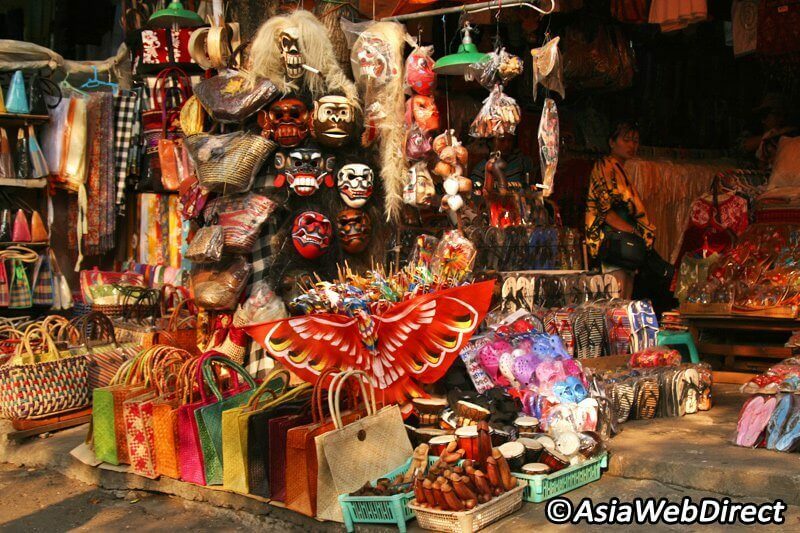 If you travel the amazing island during festival season, you will definitely see groups of women in colorful clothes carrying a basket of offerings on their head or men in white dress going to the temple, or even enjoy and admire Hindu worshipping rites and rituals. 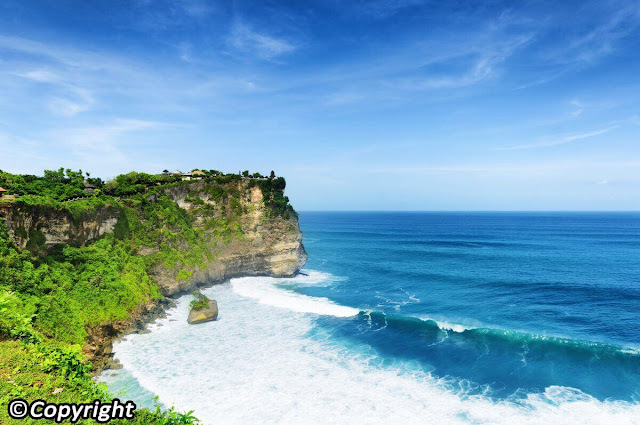 Located on the cliffs of 76 meters high above sea level heading to Java beach, 50 kilometers from Kuta town, Uluwatu Temple is named one of the most ancient temples in Bali. 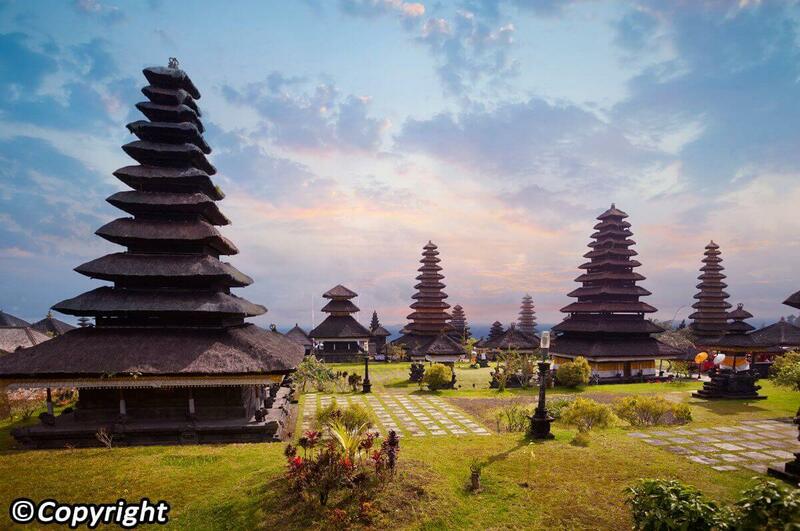 Moreover, temple is characterized by the unique sculpturing material, black coral rocks which promise to grasp tourist’s attention right they step onto the temple. 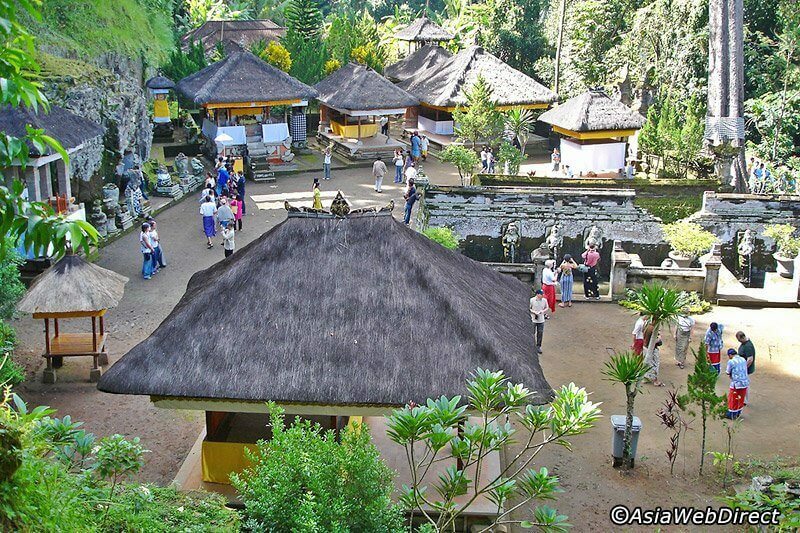 The trail leading to the temple favors tourists with fresh and cool air. 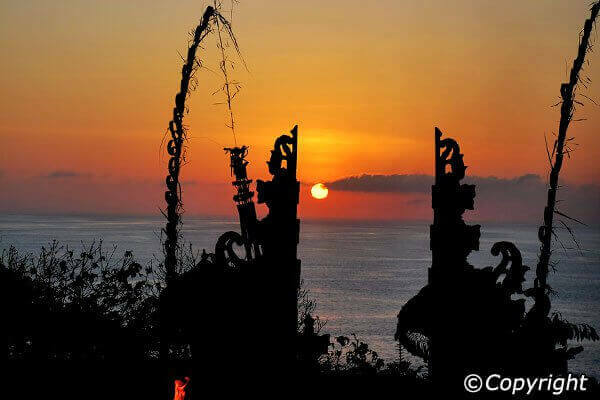 More importantly, you definitely hold panoramic views of the charming sunset on the island from the temple. The temple features sums of money running around. Standing at the temple, I could see the white foaming waves. How adventuring! My heart beats faster when hearing wave lapping the cliffs. Bear in mind, you have to wrap sarong if you wearing shorts. It is offered for free at the entrance. Additionally, if you want to enjoy Kecak Dance Show (a traditional Balinese Art show), you need to buy a ticket before entering the temple. The show starts at 6 p.m. There is one thing interesting that you definitely greet the panorama of the stunning sunset from your seat at the show. How amazing! 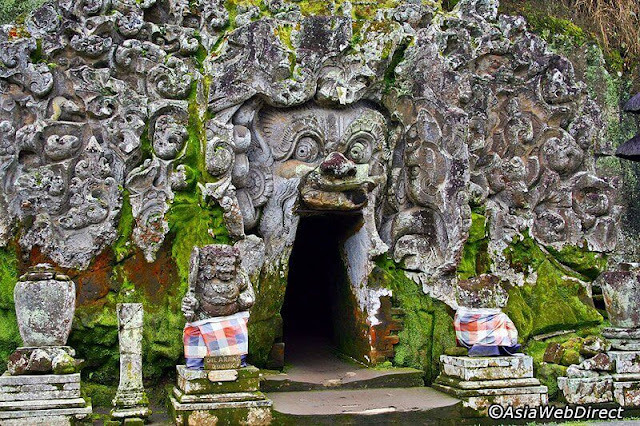 Situated in Pedulu Village, Goa Gajah Temple, also know as Elephant Cave, is actually a collection of ancient buildings built in a steep valley near the Petanu River. Featuring peaceful and tranquil atmosphere, the temple was without dispute an ideal place for monks to practice meditation. Right at the entrance of Goa Gajah Temple, visitors would strongly impressed by the wide mouth of a legendary God accompanied by many exquisite stone - carvings. It is said that the ferocity on the face of the God in front of the door will exorcize the devil and protect the followers. 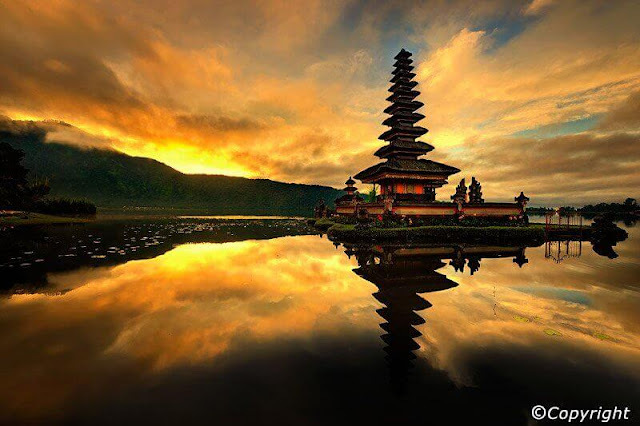 Situated on a lake surface that was once an extinct mouth of the volcano, with the height of 1,300 meters above sea level, Ulun Danu Beratan Temple is also called water temple. Thanks to this ideally geological location, the temple is not only a picturesque huge water painting but it is also fresh and cool throughout the year. This water temple is also considered as a prominent characteristic of Bali. 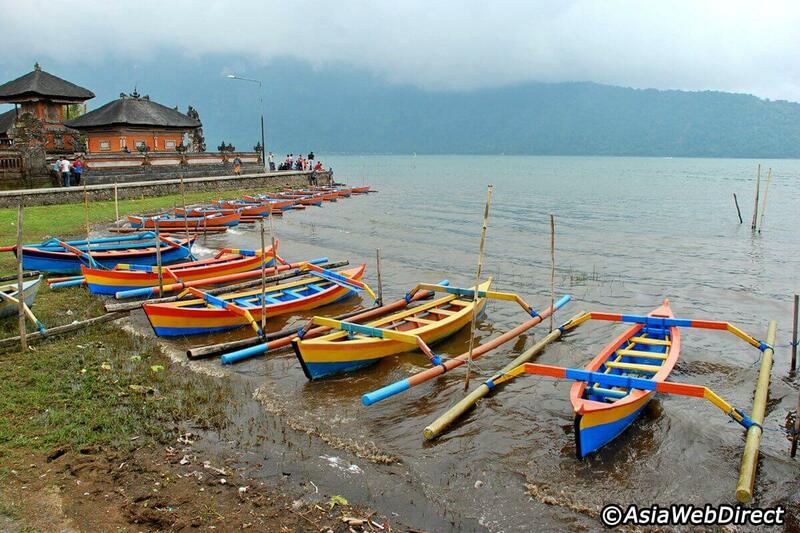 To explore the whole beauty of the lake, tourists might travel by canoes in 20 minutes. If you want to take pictures, you could tell the driver to stop for a while. 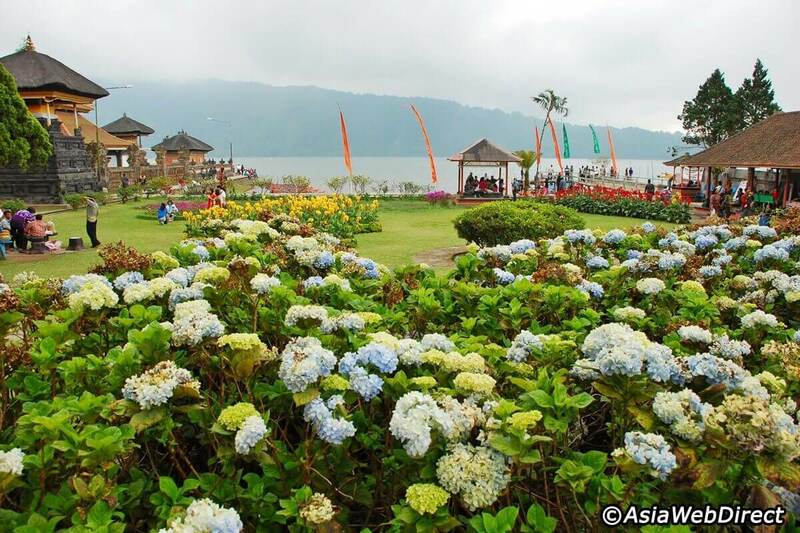 Despite the fact Ulun Danu Beratan Temple is not as majestic as Tanah Lot and Uluwatu, but its fresh and tranquil atmosphere is wonderful enough to capture the attention of tourists. On the way back to the temple, you might stop to enjoy a glass of flavored strawberry juice of a reasonable price. 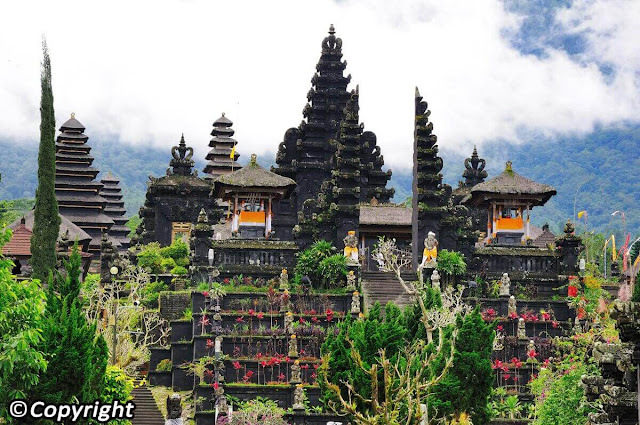 Being known as Goddess Temple, Besakih Temple is the largest temple on Bali Island, built over 1,000 years ago on the sacred Gunung Agung mountain. As a complex of three large temples and 20 other shrines, the temple definitely provides followers, worshippers, and tourists with sacred atmosphere, which captures their eyes right they step onto the temple. Simultaneously, Besakih temple holds big festivals of Hindu worshippers living on the island. Bear in mind, visitors have to wear Sarong to show their respect for the Abot and followers right they enter the temple.